One of privileges travelling has availed me is the opportunity to formulate my personal narrative of a place based on my personal experience in the country or city. Even though I do not judge an entire people by the attitude or the character of the personnel in uniform – usually the police or the border officials, but the quality of life of the locals at the point of entry can to a large extent tell you a lot about a place and their way of life. 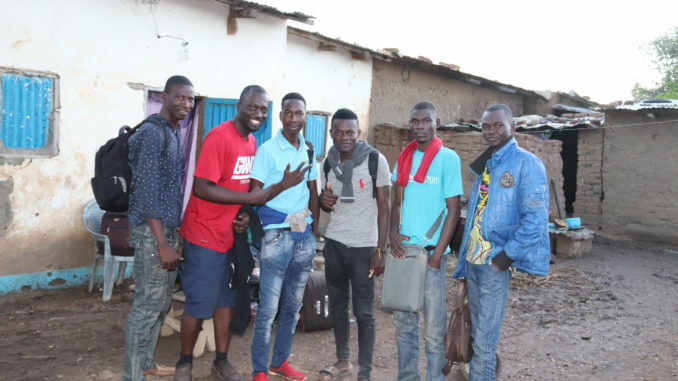 A group five students and myself had that evening arrived Kousseri town in Cameroon, the border town with Chad. The two countries are separated by the almost dry Chari River, but due to the the fact we arrived very late the previous day, we could not cross into Chad because the border was already closed. These students convinced me to stay with them that night so we could all go to N’Djamena the next day. An immigration officers at the border the previous night offered us to sleep in his house since it was late that evening and he understood we have checked out all the hotels he suggested we should go to for lodging and there was no space for us. We took a taxi to his residence and we were warmly welcomed by his family who helped us move in our luggage into the house. We were offered to sleep in the large living room. Everyone in the house came out to greet us with a handshake – even the children. This is rather weird from the part of Africa I come from, children do not shake older people to greet them. 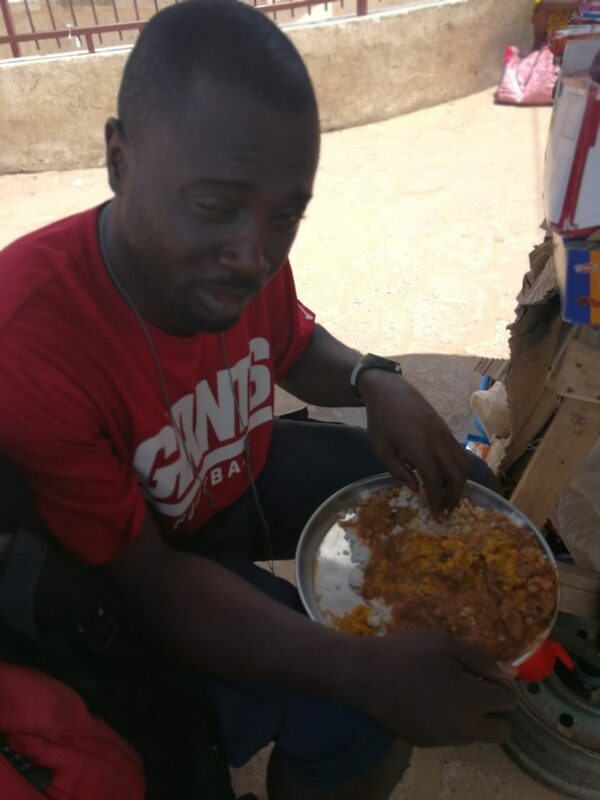 We were entertained with uncooked groundnuts, which to me seemed different because in my culture and country, it has to be cooked or roasted before consumption. With my 5 Chadian Friends. The house behind is where we slept the previous night. There was no time or resources for an early morning bath. We washed our faces with water, took a group photo at my request and we set out for our journey to N’Djamena. 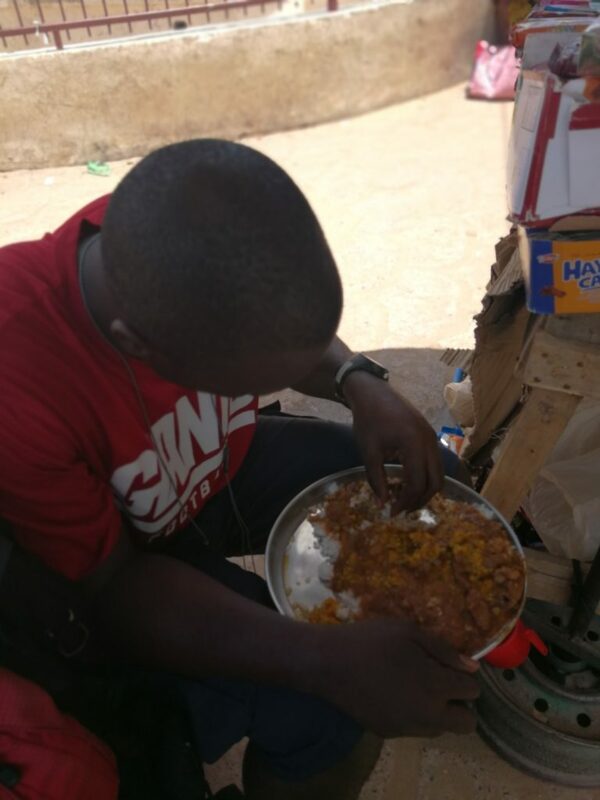 There was no food to eat that morning and I never bothered to find one since there were several of us who all they wanted to do was to get to N’Djamena. 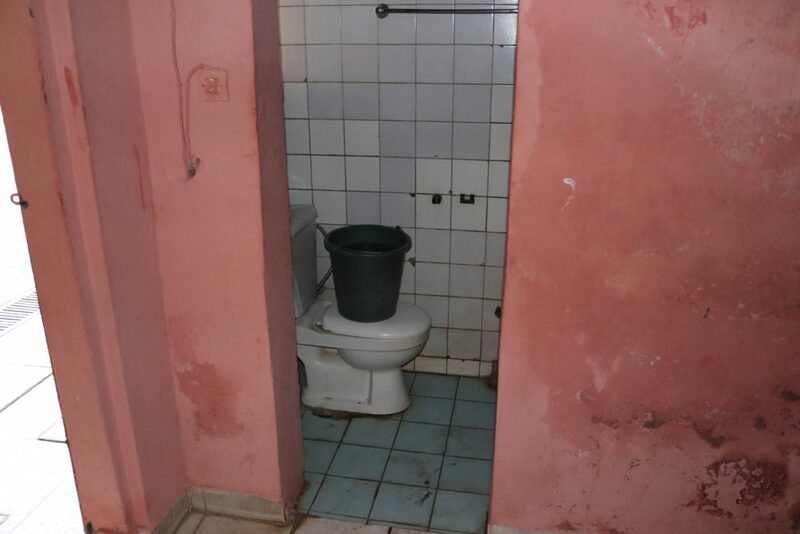 My arrival to this country was full of surprises. First of all, my experience with the Chadian Immigration was exactly the opposite of what I experienced at the Cameroonian side of the border. These five friends treated me with much respect and love that at one point, I thought I was Chadian too. 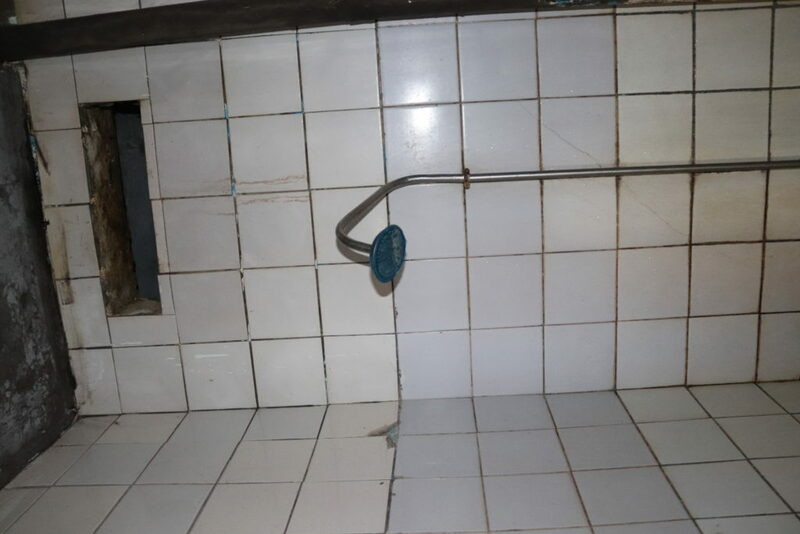 Something remarkable happened at the Cameroonian immigration immigration office where I was supposed to document my exit out of Cameroon. I had unknowingly wanted to cross the Chari River bridge linking the two countries without completing the immigration formalities on the Cameroonian side. One of the Cameroonian officials called me to order, informed me that I was to do the necessary documentation and stamping of my passport at an office just opposite where I was standing. I had to leave to this office in the company of Jules, one of my five friends. The Cameroonian immigration officer that attended to me has an air of warmth around him. He spoke English reasonably well. He inquired to know my motives for travelling and final destination. What about your friend? He asked referring to Jules. I told him he was Chadian and a ‘brother’. He queried if I had known him before now and I told him we just met a few hours ago. With a big smile and eyes full of pride I told him am good at making friends. He nodded with agreement and bade us farewell. We left to cross the famous Chari River bridge to the Chadian side of the border. On arrival at the Chadian side, some men dressed like touts (about three of them) of with one of them claimed to be a police officer requested us to show our ID’s, thinking we were all Chadians. On sighting a passport, they took me aside for further questions, they also did not allow any of my friends to come with me. They finally requested for 5000 CFA (around $10) before they could allow me to proceed to the next desk. They also observed some polythene bags and plastics in my luggage and threatened to arrest me as such is prohibited in their country. The long and short of the story was that they sent me to the border police chief when it was obvious I am not going to give them any money. I rather insisted I was on transit to Nairobi. The police chief succeeded in extorting me of 5000 CFA for the immigration stamp into their country. Even though I tried to convince him I was a journalist but all claims fell on deaf ears. Well, that was not the end of it. I had four other desks that I was told would require another 2000 CFA each before I was allowed into the country. I was very determined not to give any of them a dime since I was already in(At least, I had an immigration entry stamp on my passport). I spent almost 2 hours with them but eventually left after spending only 500 CFA on one of the officers who I had a very dramatic encounter with. On arrival to his office, he was chanting something loudly in Arabic from a very small book that I was not sure if it was the Holy Koran. I wanted to traverse his office with the guise he was performing a religious activity and I did not want to disturb him but surprisingly, he waved me with a daring look which was as good as saying where are you going to without seeing me. He stretched out his hands, collected my passport and opened, peeped to see my nationality, closed and dropped it and then continued this chant for another 3 minutes or so. Thinking I was in a safe ‘religious’ hands, I was very much relaxed much more than I was in the previous officers I met earlier. I did not know that he was going to be my worst encounter. 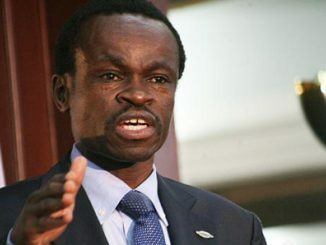 He boasted he was an Interpol agent and his duty was to ensure the security of his country and other neighboring countries. I attempted to massage his ego by telling him he is doing a great work by protecting the country from Boko Haram. He pretended he did not hear what I was saying. He continued that if I do not pay the sum of 2000 CFA, he could cease my passport and I would have to come pick it up the next day at the Central Police Station somewhere in town. He even turned down an attempt by the first officer I met earlier who after a 30-minute delay or so, asked me to go when he saw I was not ready to pay anything. The Interpol guy eventually took 500 CFA and allowed me to go. By the time I was done with all these, my friends were already gone. The next thing in line was to go buy a sim card and then proceed to N’Djamena. On arriving an Airtel Shop at the border, I had to pay for a sim and then when it was then time to subscribe for internet, I was mortified by the prices and costs for just having internet. I was asked to pay. I casually asked for the cost of 1 GB of data and I was told this would cost me 12 000 CFA ($20). I could not believe this pricing until I saw where it was pasted on the wall. Incredible I thought. How could this be? In this day and age? In any case, I subscribed for just 250 MB and after this subscription, guess what, my connection to several social media could not work. It was eventually I learnt that social media is banned and that even if I must use it, it has to be done using a mobile VPN software. All these experiences gave me a very negative impression of the country. Spending some time however in the city made me appreciate the people who were. I rather concluded that the government is the real problem of the people. 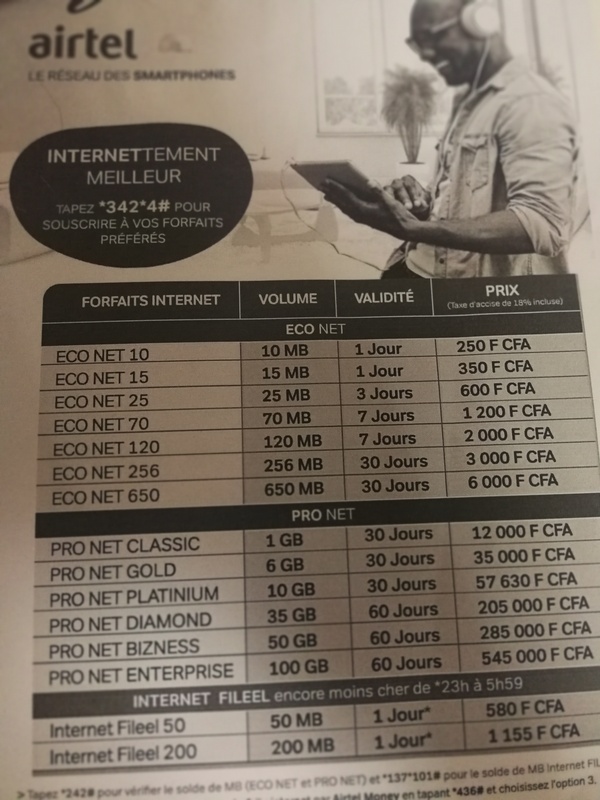 Internet costs in Chad. One of the most expensive in Africa. I wondered how the youth and the next generation of children born in that country will succeed with this type policy that makes internet expensive and restricts younger ones from social media. On further research, I found out that access for social media was first noticed on the 28th of March 2018 meanwhile I was there on the 18th of July this same year. It was blocked because the president thought it could serve as a way from restraining people from protesting. He was trying to pass a law that would see him in power till 2033 and he succeeded. Initially, I could not believe the fact I needed a VPN software to connect to any social media hence, I decided to visit the telecom company’s office in the capital so I could confirm things for myself. I was told the same thing when I arrived there. They had to download a free VPN software using the same expensive data I purchased. I was happy to see it work eventually but the joy was short-lived when the 250 megabytes finished. I spent a lot of time looking for an affordable place to sleep. 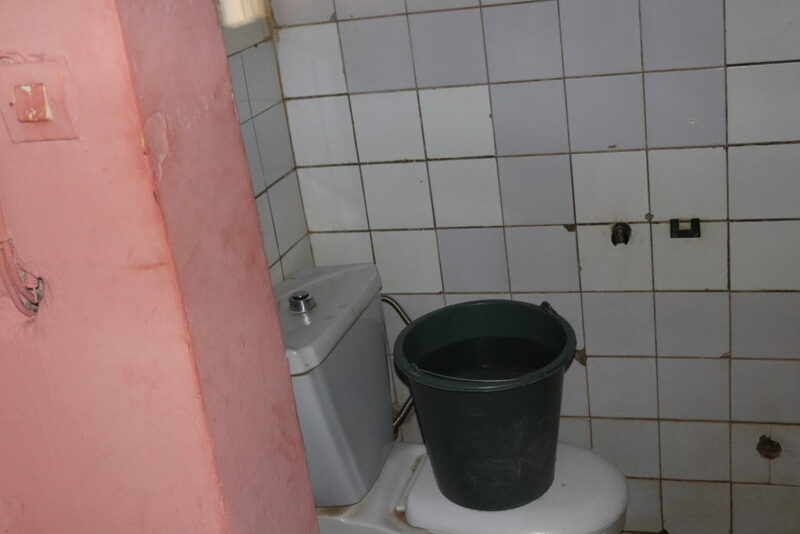 Normally within Africa, I normally budget $10 for a night. I used several motorbike or ‘landemain’ a they were locally called to traverse the whole city looking for where to sleep. 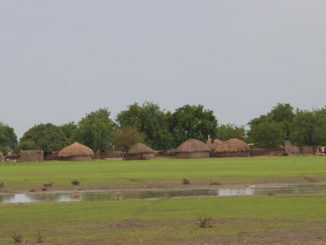 We searched Sabongeri (A notable place for the crème de la crème in N’Djamena), Chagoua and several other places. I was able to find a place after about three good hours of searching and I paid around 10000 CFA ($20). I was also able to find some local rice to eat. The funny thing here was that when I requested for spoon to eat, I was informed they do not have spoon and I was expected to eat with my bare hands. The hotel I was able to get was 5 Sur 5 Hotel in quartier Chaguoa. Describing the hotel as embarrassment is an understatement. 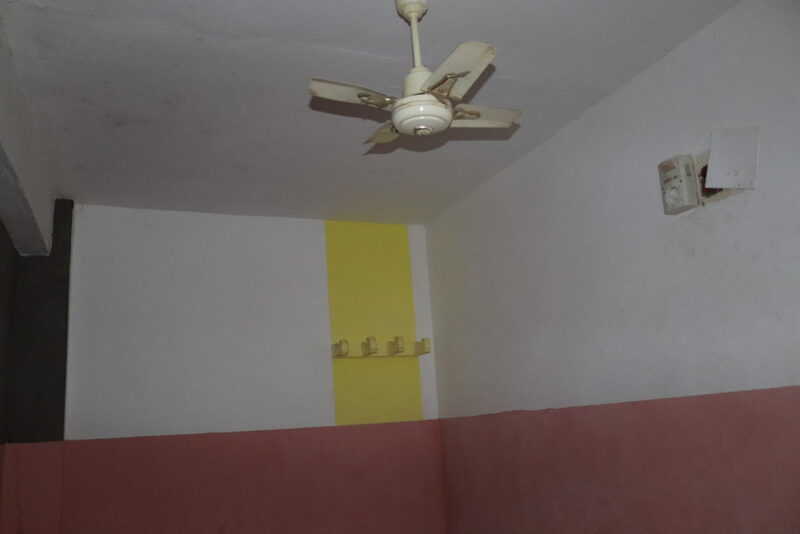 The way the rooms were structured were horrible. 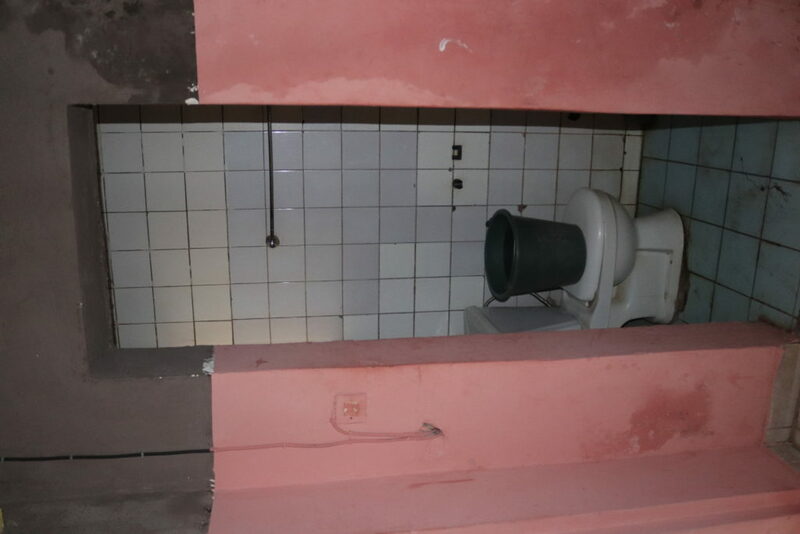 There is no door between the toilet and the room and the walls of the toilet were very low. 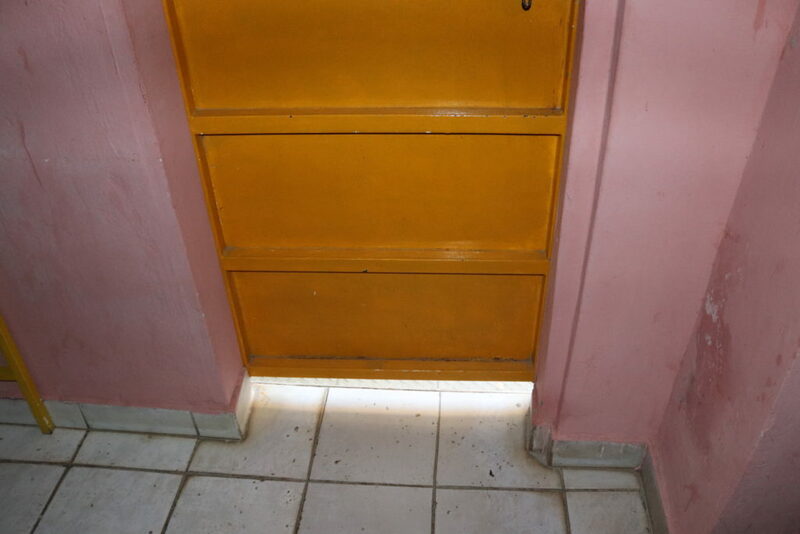 The entry door into the room was very high, leave a lot of space with the ground and making it risky humans as wild animals can always enter from those spaces underneath the door. To worsen issues at the hotel, love affairs is a common place in and around the hotel premises. Ladies in their hijabs where playing in the laps of lustful men. To make matters worse. There were different moaning sounds from the two neighboring rooms. I could hear all the conversations, kisses and every other thing that happen when two adults are together for carnal pleasure. It seemed they were renting the rooms every two hours as I noticed different voices, sounds and moans at different times. To add to all these problems, I was frequently running out of internet data as I had to connect through a VPN software which consumed lots of data. All the data I bought during my whole stay of 2 days was up to $20. Finding food to eat was a big problem too. All these made me hope it was the next day already so I could leave that country for good! I made some plans for the next day. Asked for a few places in town where I could go for sight-seeing. 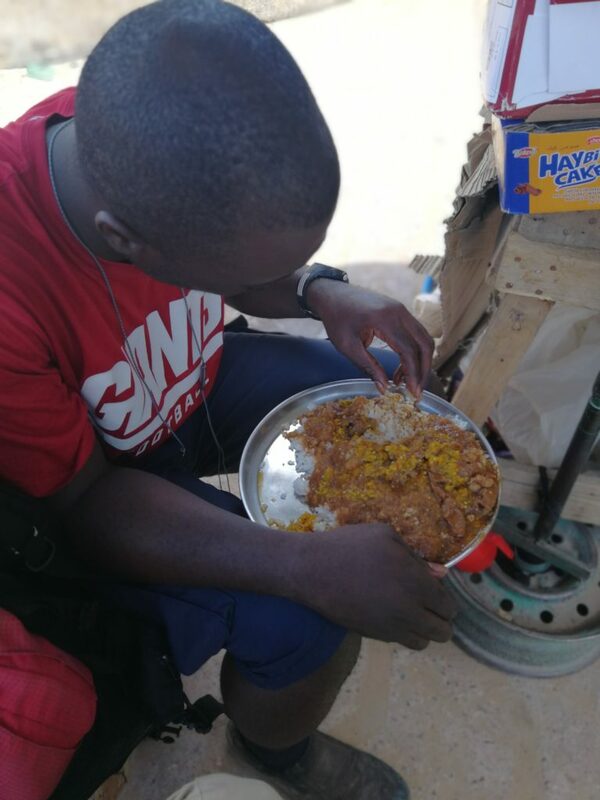 I thought of the friends I had traveled together with and seeing them again to tour the city with them – unfortunately, I could not because even though I sent several messages on Facebook to them, it was not delivered because most of them do not use their phones in N’Djamena due to the high cost of internet. I ruminated on my thoughts since the whole journey started, I smiled and I slept off on the bed with my earphone on my ears.